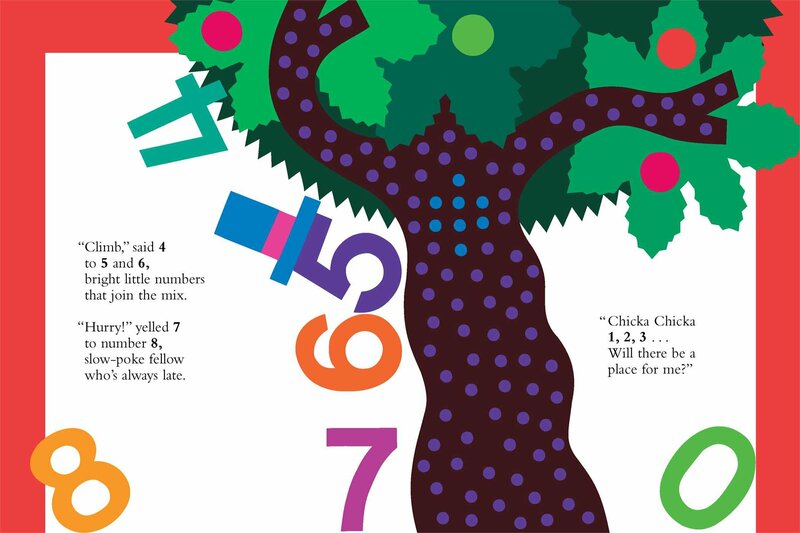 Chicka Chicka 123 is a companion to Chicka Chicka Boom Boom and is definitely a teacher's favorite for teaching numbers and counting! 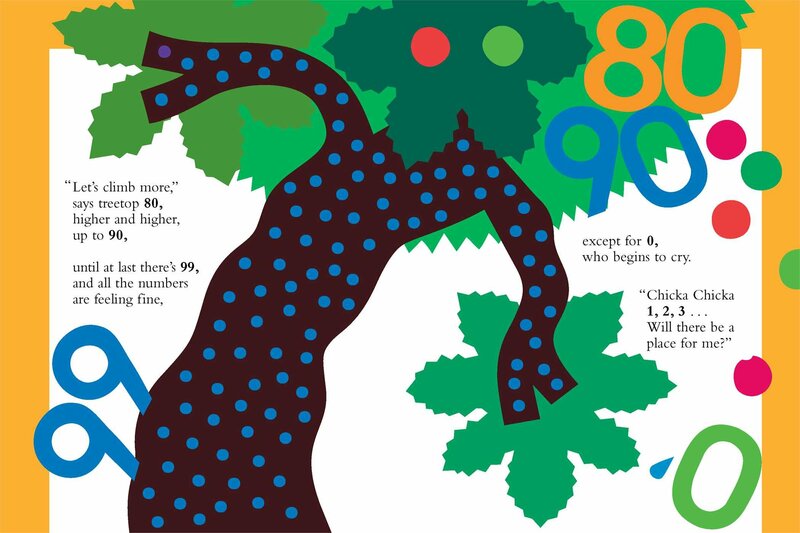 In the story, 101 numbers climb up an apple tree (1-20 one by one, then by 10s). As each group of numbers climbs up, a worried zero asks "Chicka Chicka 1,2,3...Will there be a place for me?" Before zero has a chance to climb the tree, along come two bees and all the numbers scramble down. Luckily, zero finally figures out his place and saves the day. Below are sample pages from inside this book. Fans of the original (Chicka, Chicka, Boom, Boom) will recognize Ehlert's trademark style of art. The Virtual Vine has over a dozen ideas for using the companion book, Chicka Chicka Boom Boom, in the the classroom. What a great resource! 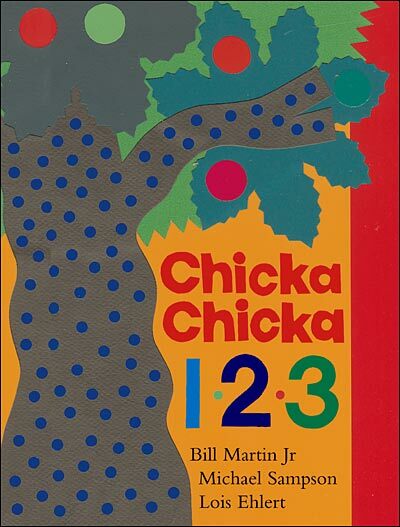 Many can be adapted to use with Chicka Chicka 123. You can create a reading center with a palm tree (shown at right), play a game of 'coconut bowling', create a palm tree painting using forearms and hands and letters [or numbers] going up the trunk (also shown at right), taste test a coconut, make special letters, play a shell game, etc. To see the full list of Virtual Vine activities to accompany this book, please click here. Also, the DLTK's website has Chicka Chicka Boom Boom coloring book pages and two paper craft activity plans--one for preschool and one for Kindergarten. You can adapt them to a numbers focus, or read the ABC book in conjunction with Chicka Chicka 123, then do the activities. Here.